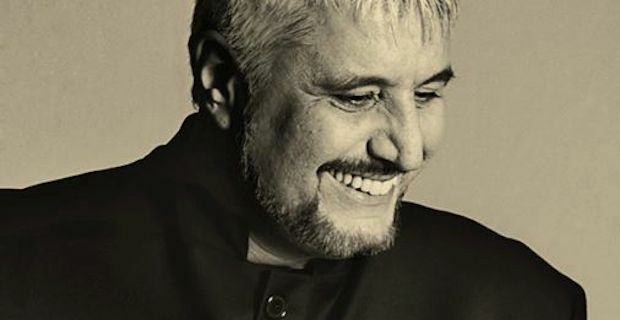 On June 8, in Brussels, a unique opportunity to see live Pino Daniele, one of the most popular Italian singers and song-writers! Just like Cheb Khaledand Youssou N’Dour, Pino Daniele is considered as a top world music interpreter from the 90s up to today. A self-learner, in over 30 years of career his style was heavily influenced by Louis Armstrong jazz, Elvis Presley Rock’n Roll, and again pop, rumba, blues and soul. Most importantly, all these sounds are elegantly mingled with a deeply rooted Neapolitan identity, which makes his music just incomparable. Pino has a huge amount of followers in Italy. For the celebration of his 30 years on stage, in 2008, he gathered in Naples over 200,000 people! During his career he collaborated with great musicians such as Eric Clapton, Bob Marley, Riche Havens and Luciano Pavarotti. In spring 2012, he began an international tour during which he presented his latest album “Tutta n’ata storia”. On June 8, he will perform for the first time ever in Brussels, at Théâtre Saint-Michel. The day before he will be in London, then he’ll fly to the United States. Concerts are scheduled in New York and San Francisco, but also in Toronto (Canada).